"$60 charge for being 3kgs over"
✅ Trip Verified | Melbourne to Gold Coast. My flight was delayed three times in the one day. I sat in Melbourne airport for nine hours. This is the first & last time I fly with Jetstar. I’ve lost an entire day worth of work. "flight was delayed 8 hours"
✅ Trip Verified | Queenstown to Sydney. Worst airline, flown with Jetstar twice and both times something went wrong, therefore never again. First flight luggage issues, second and last flight was delayed 8 hours, their compensation was an $8 food voucher which is so petty and is no where near equivalent to wasting my whole day, they are a stingy airline that does not care about their customers. Not Verified | Phuket to Sydney. No food or beverages provided without extra cost. No inflight entertainment without extra cost. I wasn't prepared to pay $8 to watch a 20 year old film. Couldn't even access the games without paying. 8 hour overnight flight with no meals provided, just water. Not Verified | Me and my family had booked a wonderful holiday from Sydney to Tokyo via Cairns. After going to Cairns, checking in and getting ready to go through customs we got a text message saying our flight was cancelled. The staff were very unhelpful and didn’t care at all about my family and myself needs. After waiting hours long and negotiation we were squeezed onto a flight a few hours after our flight but not to Tokyo to Osaka. Once in Osaka we were told nothing at all and left to find our own way to where we needed to be. After about 30 minutes we find someone and they tell us we need to sleep in Osaka then they give us a Jetstar paper promising our flight the day after at 5:40pm. So the next day we need have to rearrange everything, our transfers, our tours, our accomodation, our shuttle bus. Then at 1:18 we came to the airport to check our flight to make sure we have everything sorted then they say our reservation for our flight wasn’t booked, the staff weren’t helping us at all and said they can’t help us so you need to go to Tokyo by yourself. This was appalling and really poor poor service. I would never recommend Jetstar because they don’t give a care in the world. ✅ Trip Verified | Adelaide to Melbourne. There were enough self check-in counters in Adelaide Airport, so I could checked in quickly. My Seat was 6A. The space of the seat was not enough, so I felt uncomfortable. The service of cabin crew was just at the standard level. As a low-cost airlines, there was no meal on this flight. But this flight was value for the price. ✅ Trip Verified | Gold Coast to Christchurch. 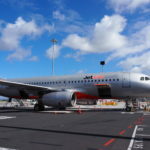 Very pleased with our return flight with Jetstar both legs were on time the plane was spotless, and the service and friendliness of the crew were exemplary. ✅ Trip Verified | Melbourne to Perth. Terrible customer service from the point of booking, on board to the point of returning. Absolute scammers. Cant ever talk to someone who understands clear english or what I'm trying to communicate. Very unhelpful staff over the phone. Treat you terrible. No sense of customer service. Not Verified | We booked a flight Sydney to Bali to fly on Easter Friday, 19/04/2019, months ago. Received a message from Jetstar last night that our flight was canceled "due to engineering requirements". Of course, one week before Easter Weekend there were no flights left for Thursday or Friday. "Manage my booking" section on Jetstar website still showed my flight as valid, so I couldn't even go and explore alternative flights myself. Had to call the customer service, who confirmed the flight had been canceled and suggested I fly out on Saturday as this is all they had left. 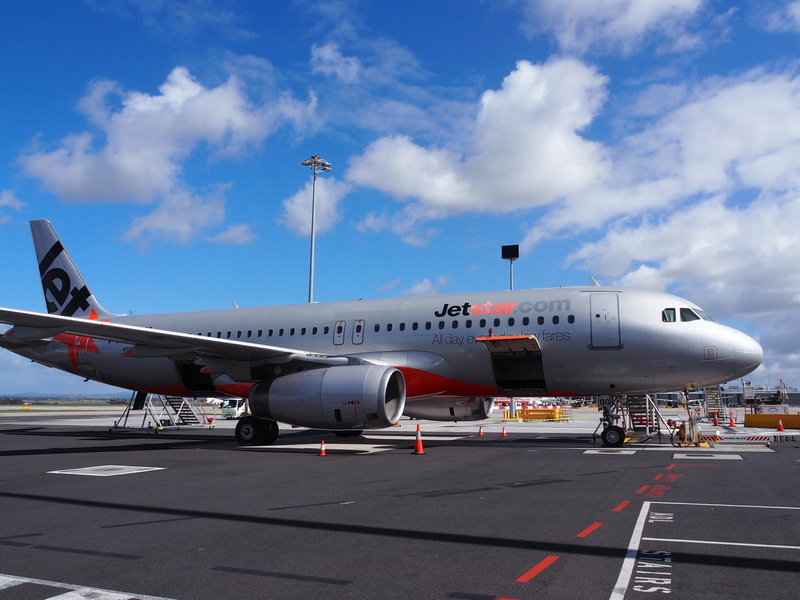 I considered a refund to rebook with another airline, but since most of my initial purchase was paid via Jetstar gift card, they could only offer a refund in a form of Jetstar gift card! So now we have to fly on Saturday, it will take us 15 hours instead of 9, we are losing the whole 24 hours at the hotel, which cannot be refunded. The whole experience was just awful, I didn't expect Jetstar to act in such manner. Will do my absolute best to never fly with them again! "never fly with Jetstar again"
✅ Trip Verified | We flew from Sydney to Melbourne 11th April flight number JQ513. Charged $60 for being 2kg overweight yet same suitcase and clothes as flight to Sydney last week and was no problem. Staff then had the cheek to ask me to get change from the cafe opposite as had no float or change, and still no eye contact. Will never fly with Jetstar again.